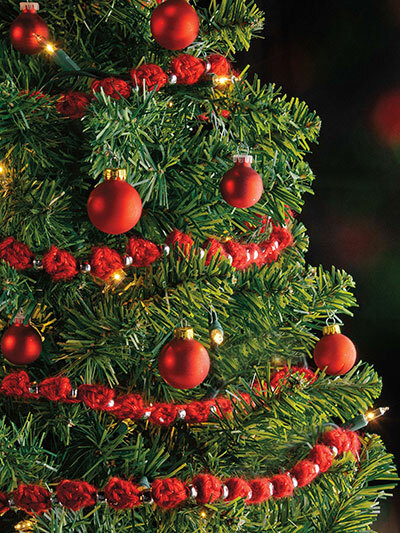 A fond Christmas memory for many people is stringing popcorn to make a holiday garland. Here is a fun crochet version in popcorn stitch that gets an elegant upgrade with beautiful silver beads. Includes written instructions only. 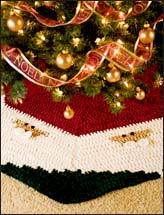 This e-pattern was originally published in Crochet Comfort & Joy. Size: 1/2" x 120". 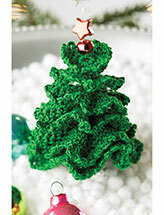 Made with medium (worsted) weight yarn and sizes E/4/3.5mm and H/8/5mm hooks.